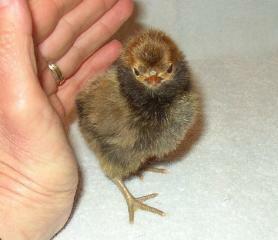 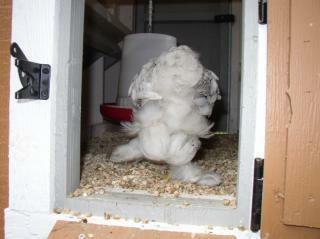 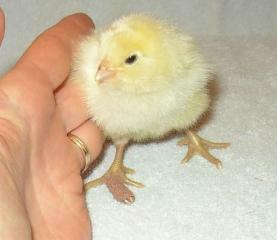 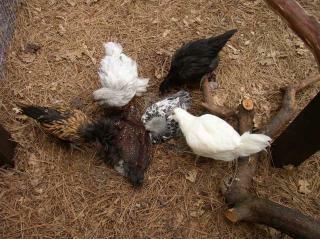 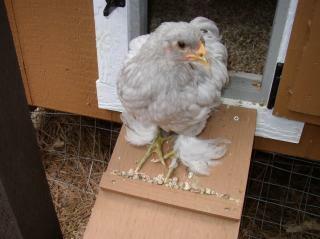 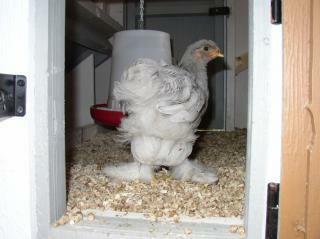 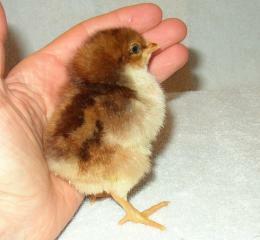 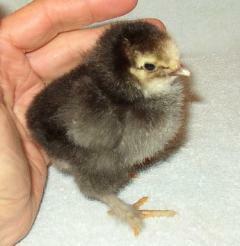 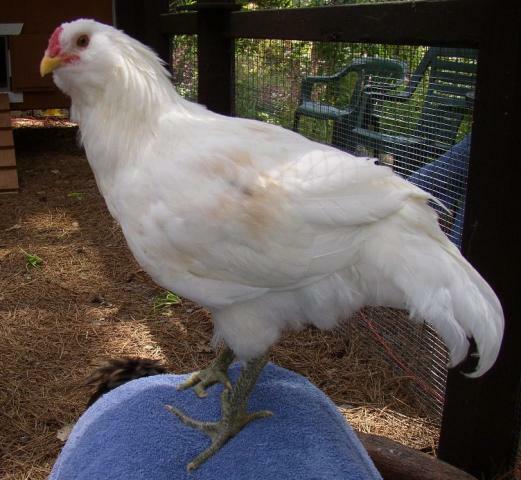 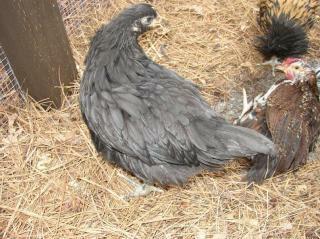 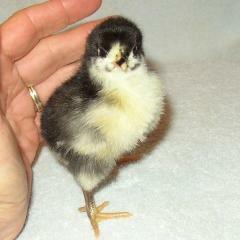 I though this chick was my blue cochin, but she turned out to be the light brahma. 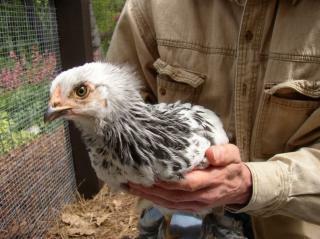 At 7 week you can tell she is a brahma, but "poor breed quality". 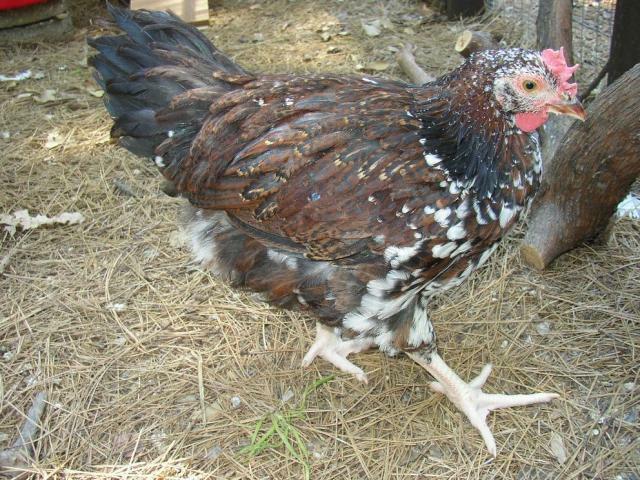 I think she is absolutely gorgeous! 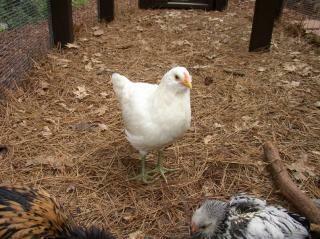 Her name is Zenny becasue she is soo Zen Hen. 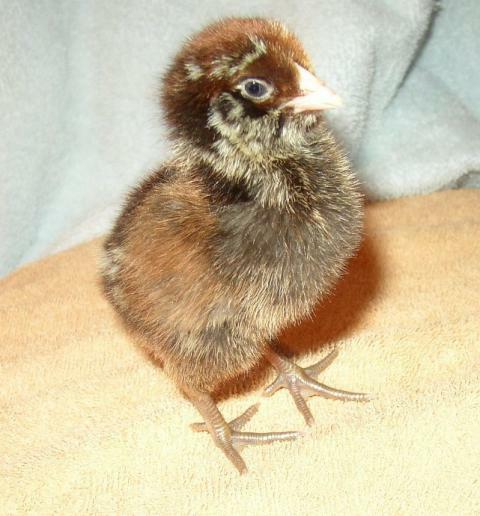 [FONT=times new roman,times]This is Ducky, the crooked toed EE. 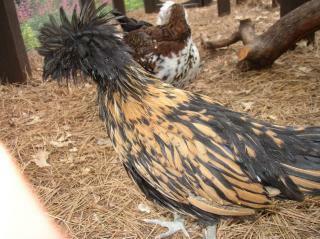 A real clown and very squawky! 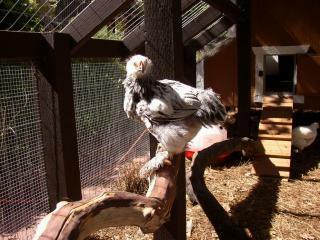 TURNED INTO A ROO!! 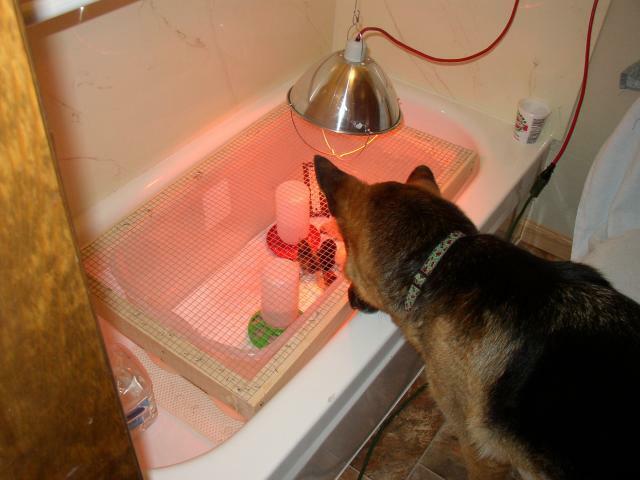 Found a home for him! 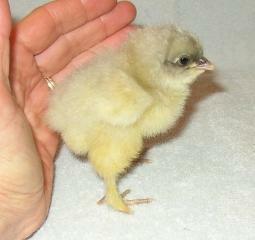 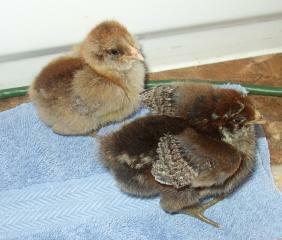 I felt sad that Surrey was alone so I went and got another chick two days later. 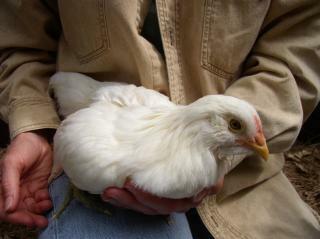 Her name is Sundae becasue she is butterscoth colored.